The Enchanted Mountains rolls out its white carpet for you. 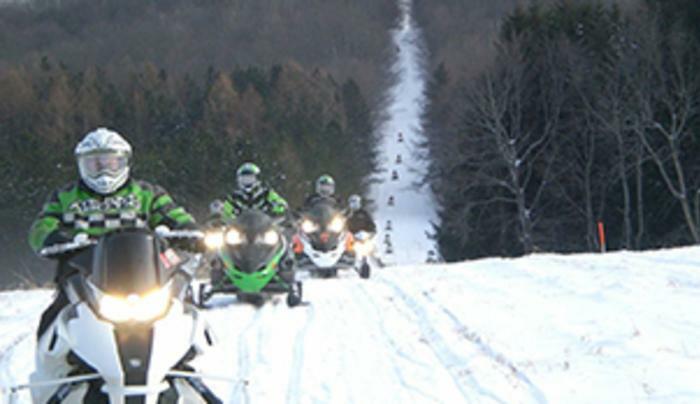 We have over 450 miles of groomed snowmobile trails throughout the county, including approximately 70 miles of trails in Allegany State Park. 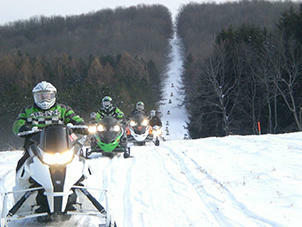 Call 1-800-331-0543 for a free snowmobile trail map or check trail conditions at EnchantedMountains.com. You'll find many restaurants and lodgings with direct access to the trails. Bring the group and stay at the new Group Camp 5 at ASP where you can access snowmobile trails right out your back door. Houses up to 72 people in 18 newly remodeled cabins complete with table, benches, heater, 4 bunk style beds and space to breathe. Also in Camp, is a mess hall with benches, 3 upright refrigerators, one freezer and everything you need to make your meals. The facilities are worth mentioning as well, 7 individual showers, three of them being handicap accessible.